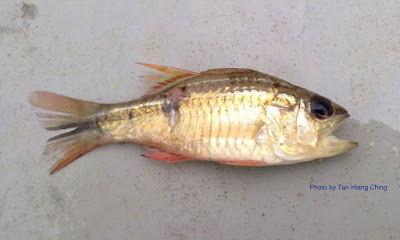 Cardinalfishes belong to the Apogonidae family. They are found in the Atlantic, Indian, and Pacific oceans. They are generally small fish with most species below 10 cm in total length. They are distinguished by their relatively large mouth and the division of their caudal fin into 2 separate fins. Most cardinalfishes are nocturnal, spending the day in dark crevices. They feed on zooplankton and small benthic invertebrates. There are 32 genera and about 337 species of cardinalfishes worldwide. Malaysia is represented by 9 genera and about 50 species. 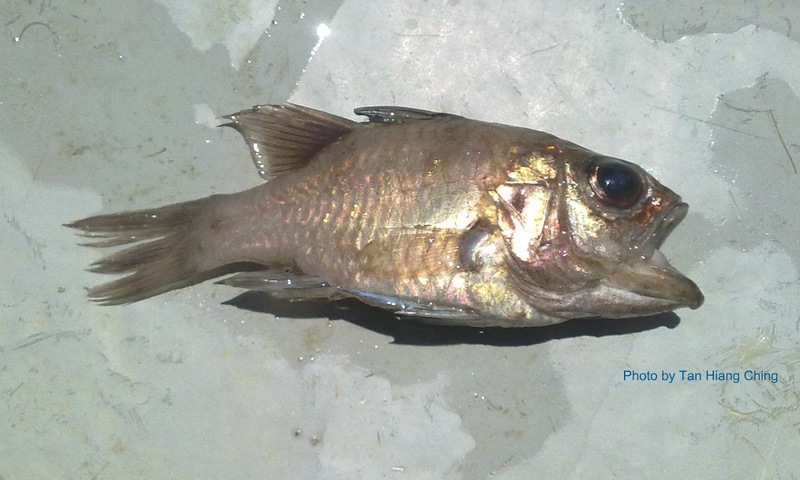 Main Diagnostic Features: Second dorsal fin is hook-shape. Size: Maximum standard length 13.5 cm. Main Diagnostic Features: Generally white to dusky pinkish body color; with 3-4 dark stripes on upper half of body.